Was the 2018 season only bad due to Buxton and Sano? Or was there more to it? 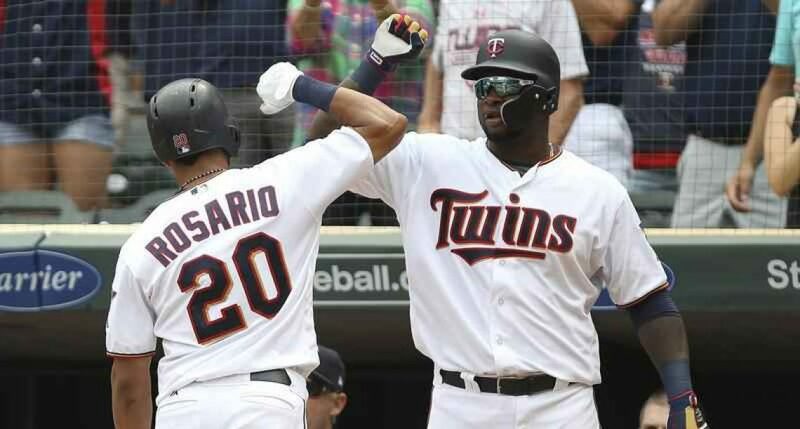 The 2018 Twins 78-84 season is thought to have been a let down mainly due to the performances of Byron Buxton and Miguel Sano. While this was the case for a lot of the disappointment Twins fans saw, they weren’t responsible for all of it. The pitching actually played out better than the hitting did because Berrios and Gibson were two players who were able to have their breakout years. The main Twins hitting core consisted of Eddie Rosario, Max Kepler, Jorge Polanco and of course Buxton and Sano. Eddie Rosario is thought to many Twins fans to have been a much improved player, but he actually had a drop in AVG, HR, RBI and OPS. He did have an excellent first half to his year, hitting .311 with an .890 OPS. Those are all star numbers and he barely missed out. The second half wasn’t as kind to Rosario as he only hit .240 and his OPS took a huge hit, going down to .622. He did not have a good full year last year, so if he improves to maintain a steady .285 AVG with a .850 OPS then watch out if you’re in the right field seats. For Max Kepler, last season was probably his worst one out of his first three full years so far on the offensive side. He had career lows in average, OPS, and RBI. He did set a career high in homers, but he also had about 50 more at bats than any other year. The glove certainly plays in right field and that is a positive for sure, but for a player who was once the 30th ranked prospect in America, and number 3 for the Twins, where have the expectations gone? He was consistently hitting a .280 AVG with a near .780 OPS so he should be getting some of that success in the majors. I hope and think Kepler could have his best season yet and get around a .250 AVG, with a .760 OPS, 25 homers and 70 RBIs. That would go a long way considering the level his fielding is already at. Jorge Polanco’s effect on the team is pretty easy to explain. He missed half of the year due to suspension. To not have a SS who ranked 7th in OPS when he can back for half of the year will certainly hurt any team. He had a 1.5 WAR in half a year, so a full year would’ve gotten the twins to about 80 wins. I think Polanco is one of the more underrated shortstops in the MLB. Here, let’s do an experiment. Which player would you rather have, player 1 or 2? Player 1: .299/.358/.478 (past 132 games) —– player 2: .278/.339/.505 (last two seasons) —– It’s a tough decision but player 1 is Jorge Polanco and player 2 is Manny Machado. Not the best comparison due to HR and RBI numbers, but it works. Overall I think Twins fans have to be able to look past just Sano and Buxton for their struggles in 2018. Of course they hold a ton of the blame, but all five of these players need to perform for the twins to make the playoffs this season. I may be a little too optimistic but I believe in Rocco Baldelli and the Twins core to push them to the AL Central crown in 2019. Thank you for reading my article about what really happened in 2018. If you enjoyed please leave a like and share with your friends. If you disagree or have any questions please leave a comment or ask me on Twitter (@EverydayTwins). Also,cThe Twins will win the AL central. Are the Twins really in play for Bryce Harper?